After boots, one of the other important items for a walker is the backpack. A poorly-fitting or poor quality rucksack can make walking a miserable experience, so it’s worth taking the time, and spending the money to make the right choice of backpack for your walking holiday. If you don’t have to be self-contained and can rely on a roof over your head and a meal waiting for you, then you only need to walk with a day pack. So how do you choose which backpack is right for you? For a daypack the optimum size is around 25-32 litres which will be big enough to carry lunch, snacks, water, extra warm clothing, spare socks, and a first aid kit. For some reason outdoor retailers will often try to talk you into a pack larger than you need, resist them! Even a day pack should fit you properly. The size of a pack is based on your back length from the base of the neck to your hip bone. Women’s packs will typically have a shorter torso length, but if a woman has a long back length she may be better suited to a “man’s” sized pack. For women, particularly, it’s important that the rucksack has a decent hip belt which means that most of the weight is carried on your hips and down your legs NOT on your shoulders. You really should try a pack on before you buy it. Don’t just carry it around the shop empty! Get some weight in, adjust it to fit, and then stand and walk around the shop for at least 20 minutes. Check that you can loosen off the shoulder straps without unbalancing the weight. Make sure that the shoulder straps and hip belt fit comfortably and there are no obvious places where they are going to rub. You really do get what you pay for – a quality pack will last you many years. Yes, a brand-named quality pack will cost more, but look for last year’s models, fashion has come to backpack manufacturers and you may score a bargain because a particular colour is now considered to be “so last year!”. Look for good quality zips and zip-pulls, zips can be fixed, but they should last a good few years, even under pressure. A quality fabric will resist water better than a cheaper material. You don’t necessarily need a myriad of compartments (the more zips the more likely you’ll get leaks), but look for features that may be useful such as an external water bottle carrier or a hydration system (a pocket inside the bag for the bladder with an exit hole for the hose). 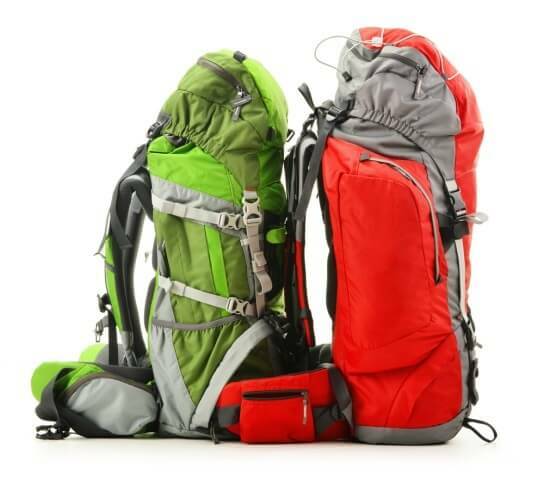 A well-fitting comfortable pack really will last for many years, consider it an investment in your hikes to come!